Cuando volaba a SP, nos regresan a por amenaza de bomba No me jodas!! UPDATE 23:35 UTC Flights now allowed to land runway 32L at Madrid Barajas airport after holding due to bomb threat on flight. 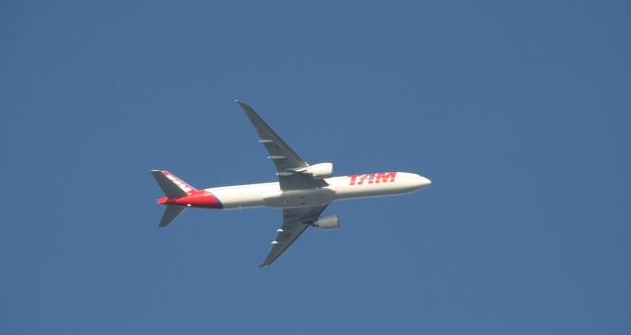 UPDATE According to Brazilian media Globo G1, TAM was notified by the Spanish authorities on alleged bomb threat on board the aircraft. UPDATE We have confirmation TAM #JJ8065 safely landed at Madrid runway 33R, one hour after declaring an emergency. UPDATE 23:09UTC TAM #JJ8065 Now on final approach to Madrid after 2h30 flight. UPDATE 22:25UTC TAM #JJ8065 Boeing 777 is now above Spain and heading to Madrid. UPDATE 22:15UTC: TAM #JJ8065 is holding 33,000ft and returning to Spain.